Brazilian authorities are considering significantly reducing the number of Venezuelans entering the country each day as it struggles to deal with the flood of people fleeing political and economic turmoil, President Michel Temer said Wednesday. The announcement came as Temer toughened his criticism of Venezuela, calling the humanitarian crisis there "unacceptable" in an interview with the Radio Jornal station. The situation in Roraima state, where most Venezuelans enter Brazil, has also become increasingly difficult, and Temer decided Tuesday to deploy military troops there. Roraima's homicide rate has spiked this year and is now the highest in Brazil. As a result of the crisis, 700 to 800 Venezuelans are entering Brazil each day, Temer said, and authorities are discussing limiting that number to 100 to 200. "We offered humanitarian aid — food and medicine [to Venezuela]. The government refused," Temer said. "The government refuses there, and Venezuelans come here." Temer suggested that if President Nicolas Maduro's government would accept aid, fewer Venezuelans would flee. Maduro has resisted such offers, contending there is no crisis and that what's really needed is for the U.S. to lift economic sanctions. 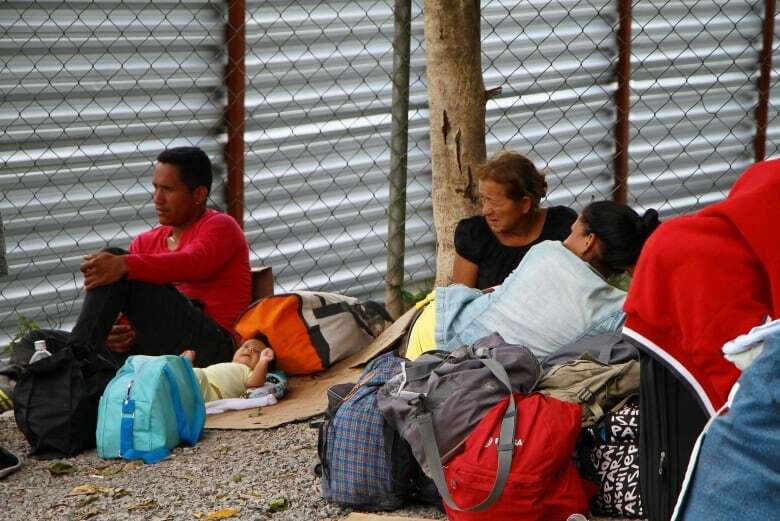 More than 50,000 Venezuelans, many of whom are hungry or sick and have little or no money and belongings, have applied for refugee or resident status in Brazil in recent years. Authorities in Roraima state say the federal government needs to do more to help them deal with the influx. Since 2014, an estimated 2.3 million Venezuelans have fled their country's growing humanitarian crisis, including shortages of food and medicine, according to the United Nations. Some countries, like Peru and Colombia, see thousands enter each day, and the influx has strained the resources of countries around the region and led to xenophobia and sometimes violence. In Brazil, angry residents of a border town hurled rocks at Venezuelans earlier this month and set fire to their belongings after migrants were blamed for an attack on a local storeowner. In response to the influx, several countries have tightened entry requirements recently — for instance, requiring Venezuelans to show a passport and not just a national ID as they had previously been able to — but Brazil has so far resisted such measures. Because of shortages of basic supplies like paper and ink, obtaining a passport in Venezuela has becoming increasingly difficult, so requiring passports effectively limits the flow of legal migration. Roraima's government has tried a few times to shut the border to stem the flow, but the federal government and courts have so far pushed to keep it open.